Wednesday evening Iowa’s own Joni Ernst proved once more that she neither understands issues nor has any idea what Iowans think when she introduced a bill to defund Planned Parenthood. Of course Ernst claims she is doing this as a “mother and a grandmother.” This is to establish her credibility on the issue. Were she to actually listen to women, Ernst would know that most women, including Iowa women, want to have access to quality reproductive health care and counseling. Ernst’s bill is simply another iteration of the right wing’s war on women and the battle called eliminating abortion. It is so sad, but certainly a very cynical political move on the part of the Republican Party to have a woman submit such a bill. Many women I know have used the services of Planned Parenthood of Iowa at some point in their lives. 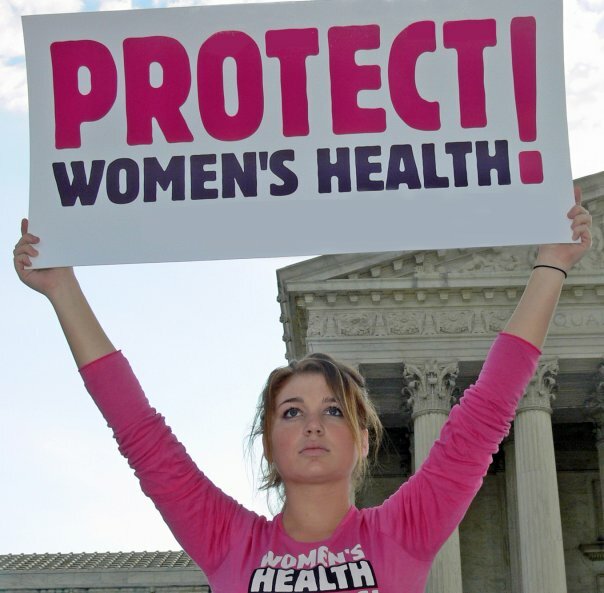 Planned Parenthood provided them with truthful, high quality medical services for women. They chose to use Planned Parenthood for various reasons but the bottom line is that PP was a trusted partner in their health care. The Republican party and Joni Ernst in particular would love nothing more than to once more take good quality health care away from women. It is shameful, just shameful. The unspoken issue here is abortion. This is just another one of the constant attacks that right wingers launch on a legal procedure that is of great importance to women. Ernst must see herself as some kind of warrior in this battle and she is. She is just battling against her own interests and those of any female progeny. Abortions are not mandatory. Maybe she doesn’t understand that. But having safe, clean abortions performed by skilled personnel in proper settings available when needed should be the mark of a society that cares about women’s health. Estimates of the number of illegal abortions in the 1950s and 1960s ranged from 200,000 to 1.2 million per year. One analysis, extrapolating from data from North Carolina, concluded that an estimated 829,000 illegal or self-induced abortions occurred in 1967. One stark indication of the prevalence of illegal abortion was the death toll. In 1930, abortion was listed as the official cause of death for almost 2,700 women—nearly one-fifth (18%) of maternal deaths recorded in that year. The death toll had declined to just under 1,700 by 1940, and to just over 300 by 1950 (most likely because of the introduction of antibiotics in the 1940s, which permitted more effective treatment of the infections that frequently developed after illegal abortion). By 1965, the number of deaths due to illegal abortion had fallen to just under 200, but illegal abortion still accounted for 17% of all deaths attributed to pregnancy and childbirth that year. And these are just the number that were officially reported; the actual number was likely much higher. So the number of abortions is still about a million in the US. Note also that the population of the US is nearly twice what it was 50 years back, so the percentage of abortions is much less. Note also that abortions now are performed in safe clean surroundings by trained medical personnel. Much unlike those 50 years ago. Yes, the back alley abortionist using dirty instruments was real. So the deaths, disfigurements and painful complications of botched abortions are a thing of the past. Joni Ernst and her religious colleagues have no problem returning us to those days. You may also note that lack of access to legal abortions will not stop women from seeking out this remedy. One reason that abortion rates are down is the availability reliable contraception. Providing contraception is one of Planned Parenthood’s biggest contributions. The religious right also opposes access to contraception. Crippling Planned Parenthood would also cripple women’s access to contraception, especially for the young and the poor – those that need contraception services most. If you don’t believe that just think about the Hobby Lobby Supreme Court case. Finally, the claim is that the federal money will be redistributed to other women’s health organizations. They will not name specific types or organizations. There is a reason for such ambiguity. You can bet those funds will be going to anti-abortion organizations. Most likely the money will end up in the hands of some anti-abortion religious counseling organization that exists only on federal money under the “faith-based initiatives” program. Faith based initiatives is an unholy alliance between government and religion that our founders feared the most. It should have never come into existence, and when it did should have been declared unconstitutional and aborted soon after. Let us hope the women of Iowa and those Iowans who have women in their lives don’t forget this affront to women’s health care when Ernst is up for reelection. Her first 7 months have been embarrassing, now she crosses the line to shameful. This entry was posted in church and state, Civil Liberties, Joni Ernst, separation of church and state, womens rights and tagged faith based initiatives, guttmacher institute, planned parenthood, women's health. Bookmark the permalink. 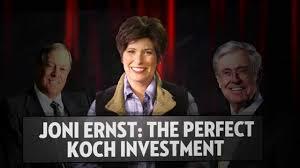 Earnst was put in office by the Koch brothers so she does their bidding.